Re.S.Artes is a scientific laboratory dedicated to the analysis of objects of art and items from cultural heritage and archaeological contexts. As for the previous years, Re.S.Artes helped the Experts during the vetting of BRAFA 2019. Our skills, knowledges and know-how is, for this kind of in situ operations, a major asset for this worldwide kown art fair. In breaf : an anthropogenicic explanation to understand the Little Ice Age particularly intense during the 17th century (see Slate). This phenomenom influates directly the uncertainties on C14 datations from objects from this period. Armed with our experience on the analysis of terracotta objects, Re.S.Artes will present during the Cultures Fair a conference titled : "The View of Science on the terracotta objects of Africa, Asia and South America: antiquity test and imaging". Re.S.Artes is JEI (Jeune Entreprise Innovante - Young Innovative Company) since 2014, statut which validate its research activity on the analysis of antique materials, and the development of new approaches to answer to the every days evolution of problematics linked to study of objects of art. 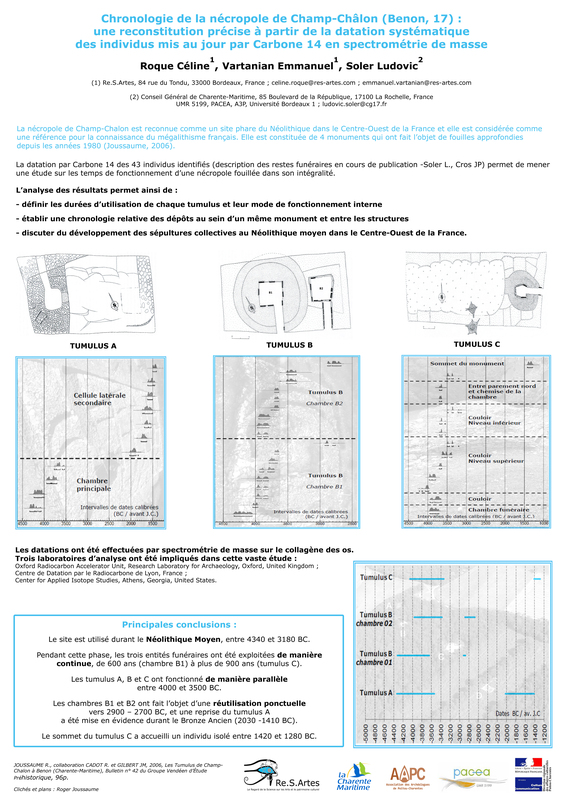 Re.S.Artes participated to the GMPCA 2015, presenting the results of two chronological studies: C14 dating of Megalithic Necropole of Champ Chalon, France and TL-OSL dating of Pleistocene sequence at Plaine de Montaigu, France. Re.S.Artes is part of the development of the technique ERDA, through the creation of a more spacious analytical chamber in order to analyze bigger object made of rock cristal. The technique ERDA allows to establish the antiquity of their carving. Re.S.Artes is part of REFRAIN : French Network for the Analysis and Interpretation of Radiocarbon dating. (REseau Francophone du Radiocarbone : Analyses et InterprétatioN). 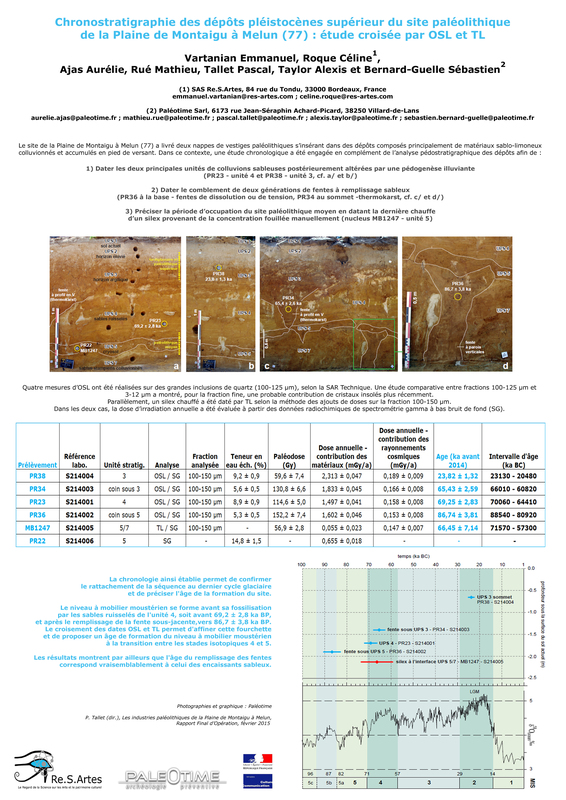 Re.S.Artes has access to the biggest database for limestone analysis. So, we are able to compare the chemical components of a limestone sculpture with those of more than 50 french quarries. This comparison allows to validate or not the hypothesis of a provenance of the stone. Re.S.Artes develops a new approach, a method to complete the datation by carbon 14, by establishing the antiquity of the work done on wood sculptures. Re.S.Artes uses an innovating approach to study small objects made with obsidian. This time again we analyse the hydration of this natural glass in order to know if the carving phase is ancient or not. Different from ERDA, this analysis is also less expensive. Re.S.Artes takes part in the formation of futur professional of the Art market, in partnership with ICART - Bordeaux, in the formation MBA specialized in " Market and International Trade of Art". Armed with a highly specialized academic training and extensive experience in these fields of application, we work on all types of objects of art or archaeological artifacts (paintings, ceramics, sculptures, bones, furniture, textiles …), whatever the constituent materials (wood, terracotta, paint, ivory, glass, copper alloys, gold, silver, sandstone, marble and other stones …). In order to properly answer to your questions, we select the most relevant techniques (Carbon 14, thermoluminescence, in situ X-Ray Imaging, infrared spectrometry, ICP-MS, optical and electron microscopy …). These analyses are reported in a full document describing the applied methodologies, results and their interpretation, and a certificate is separately provided for the studies of objects of art. Alongside this service activity, we conduct several research programs to develop our techniques for scientific analysis and new protocols. We invite you to follow our latest news and visit our library to learn more about our work.